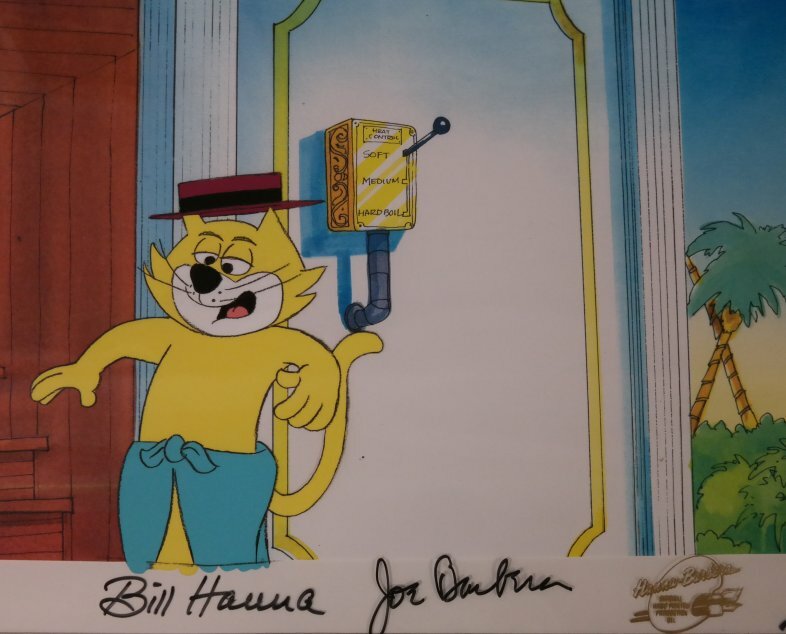 This is an original production cel featuring Top Cat that was used in a 1980s Hanna Barbera production, possibly Top Cat and the Beverly Hills Cats. The untrimmed cel measures 10.5" x 12.5" and the image of Top Cat measures 5.5" x 5". The cel has been hand-signed by Bill Hanna and Joe Barbera, placed over a copy background, and framed.